I believe his ideals have changed the very foundation of artistic expression. Did you know that in every episode of Sanjay and Craig (Nickelodeon) there is a pickle hidden somewhere? It is fascinating trying to spot them all! I enjoy this show and its engaging stories, comical dialogue and creative animation style. It’s undoubtedly one of my favorite cartoons and I could binge watch it for hours and that’s why I think that Jay Howell, inventor of the show, is a creative genius. 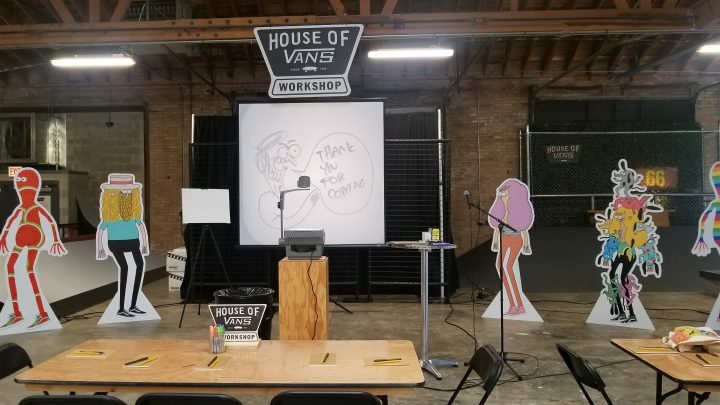 I had the opportunity to speak with Howell before his presentation at Characters for Characters: Exploring Character Development at House of Vans. 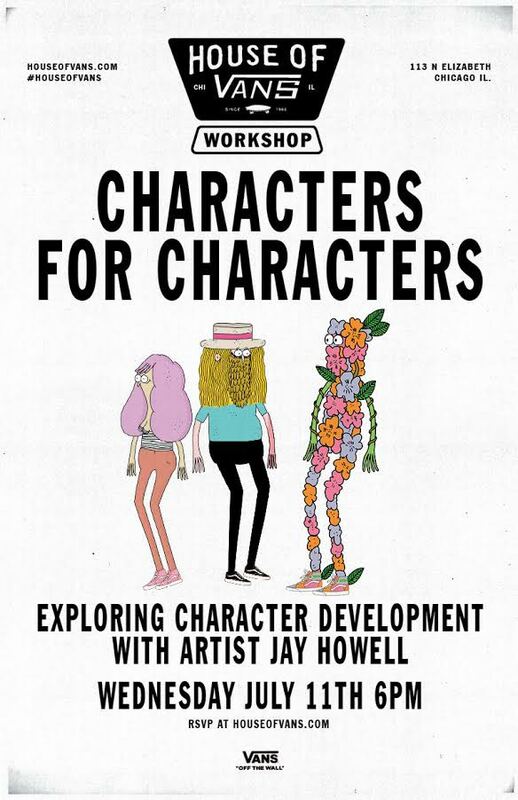 At Character for Characters, Howell was straightforward and kept a laid back stance, starting the workshop with his personal story. 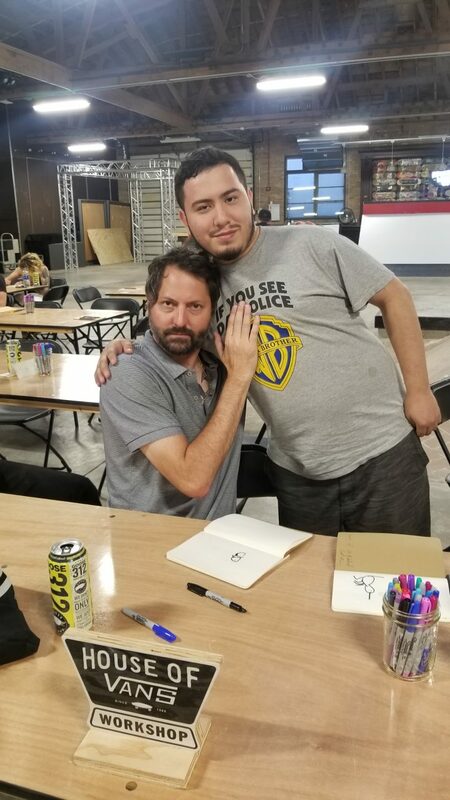 He told us he attended the Academy of Art University at San Francisco, however, because he never really liked school he dropped out after two months. 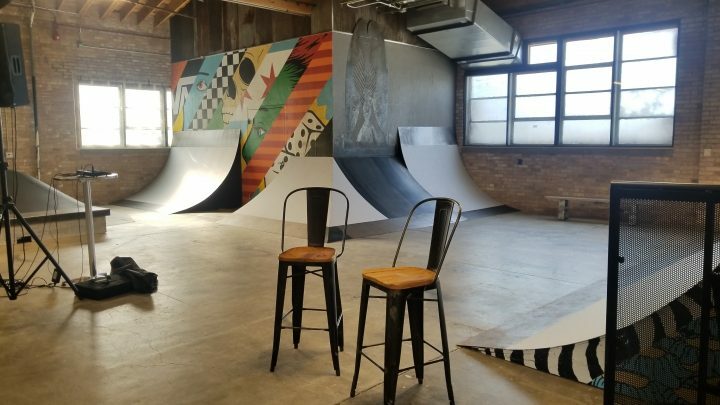 Afterward, he began to immerse himself in skateboarding, zines, snowboarding and DIY pop culture. In 1994 Howell started making his own zines, and working from the coffee shop he managed, he gave those zines away to his customers. He wasn’t exactly living comfortably, barely enough to make ends meet, but that was all about to change. One day Howell received an email from a stranger who claimed to be an art school student and explaining how he had obtained a copy of Howell’s zine. The stranger managed to animate it and sent a copy along. To Howell’s surprise, the animation was astounding. Howell responded to the stranger, requesting they work together and create more animations. The two began working together and soon an art showcase gave them an opportunity to present their work. This art showcase turned out to be momentous because soon after Howell was offered the opportunity to make his work into a television series. As you may already know, this turned into the popular television show, Bob’s Burgers. 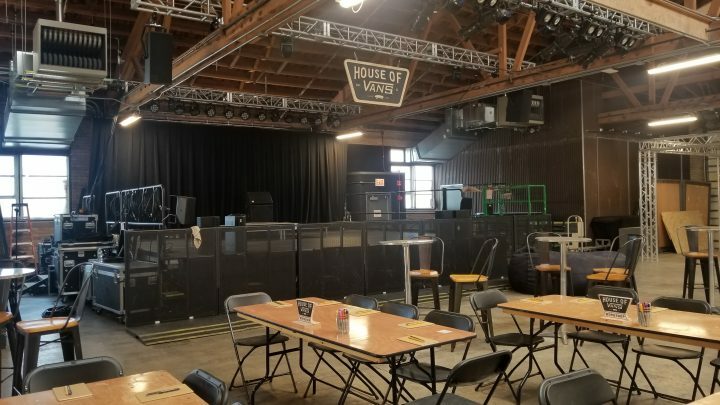 Once I had the chance at the workshop, I sat down with Jay Howell in a more private conversation. How do you make a good character? Making a good character is generally about you drawing the best you can possibly draw and the funnest (as he said it like that) you can possibly draw and really loving your character, loving your artwork. If you don’t love it, nobody will love it. That’s very important. I was astonished having heard that enchanting response. The passion Howell puts into his work is nothing short of amazing! What goes into developing a character’s personality? A character’s personality solely comes from the creator of the character. In a lot of ways, if you look at all the Bob’s Burgers characters, all those characters were already comedy characters, before the show happened. Every single one of the actors on the show already had stand up material, that was basically those characters before. So, the creator found all these great different personalities and brought them all together, then we drew them based on their personalities. Howell instilled in me that perseverance you need to face adversity. Much like a superhero, and as any other superhero, he came to me when I needed him most. Going from table to table at the workshop, he sketched in each of the participants’ notebooks. 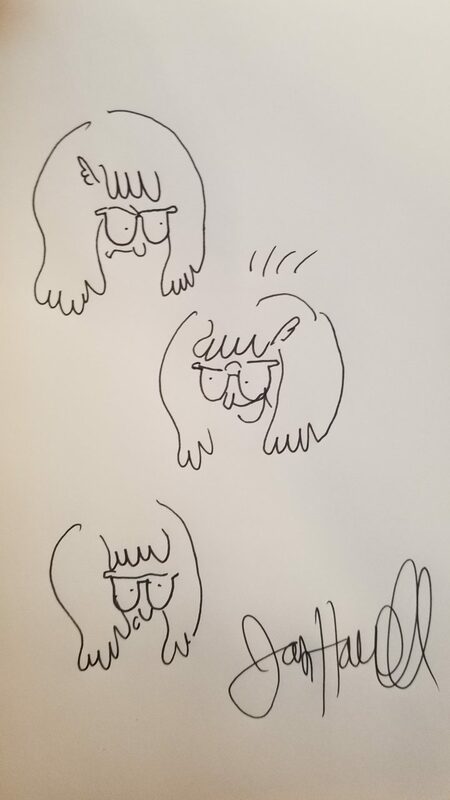 In mine, he drew three versions of Tina from Bob’s Burgers. Then, when we took a photo together, I couldn’t help but feel like were best friends… best friends like Sanjay and Craig.